In the Real Estate Principles course, you will learn about basic math in the industry. Most people not involved in the real estate industry are not as well-acquainted with appraisal and valuation of homes, but you will soon find yourself an expert. The class will also help you learn about finance terms you never gave much thought to. It may even transform the way you handle your personal finances. Have you ever given any thought to who owns the area above and below a house? What are the land owner’s rights to water adjacent to the land? Does a property owner own the air 100 feet above the home? When you work as a real estate agent, you must be prepared with answers to questions just like these. Writing contracts is no joke, and the legality of signing and writing contracts is not something real estate agents can dismiss. From listing agreements to lease contracts, you will soon know more than you ever wanted to about real estate contracts. You will be able to interpret the law much better than you did in the past. Working with a broker is an essential component of working as a real estate agent in Kansas, and there is a lot more to this professional relationship than you might think. These courses will help you learn about proper compensation, how to show listings under a broker, and how to terminate a broker relationship. You learn how to navigate the intricacies of working with a broker or a brokerage firm. Real estate courses cover topics that may influence many of your clients. Unfortunately, environmental hazards are among them. You may find yourself answering questions about fire hazards, landslides, flooding potential, and other emergency situations you might not ever have considered. This education might also make you think again before you buy your next house. 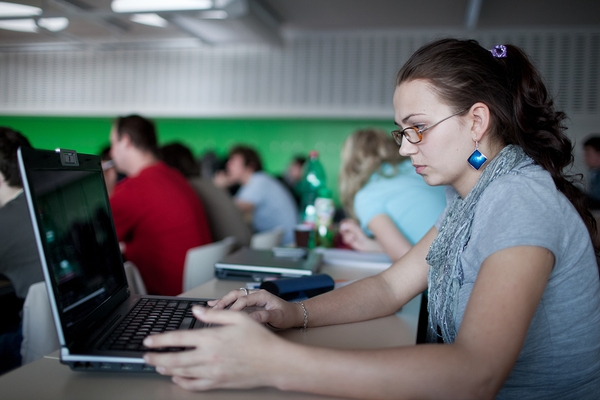 You can take real estate courses online or in a classroom, allowing you to gather knowledge on your schedule. If you do not know much about stigmatized properties, you definitely will when you take your pre-licensing courses. These are properties in which events occurred that may discourage future buyers due to stigma. Examples of stigmatized properties may include those in which a homicide occurred, for example. Learning how to sell these properties is important. The pursuit of knowledge never ends when you work as a real estate agent. In fact, it may only be just the beginning. If you are thinking about a career in real estate, the education offered in Kansas will be helpful. Contact us for more information about continuing education in the real estate industry. If you are looking forward to applying for a real estate license in Kansas, you are in luck. The steps for real estate agents in Kansas are simple and easy to follow. If you are considering a career as a real estate agent, there are many benefits to reap. You can set your own schedule much of the time, and you even have some control over how much you make. This is a job that offers a sense of freedom so many others do not. This guide will help you achieve this goal. In order to become a Kansas real estate agent, you must first be 18 years or older. You also need to have your high school diploma. If you already have met these requirements, you are well on your way to pursuing a career that will leave you feeling fulfilled. The Kansas Real Estate Commission has specific background requirements. You are not allowed to have been convicted of certain felonies in a specific time frame. While having criminal convictions in your history may not prohibit you from becoming a real estate agent in Kansas, you should know that some specific convictions may influence the commission’s decision to approve your license. These convictions include felonies, especially those related to violence and financial transactions. Each situation is unique, and ultimately this is up to the Kansas Real Estate Commission. Your first step in becoming a real estate agent is to take a course that focuses on the basic ideas of real estate. The accredited course that focuses on teaching the principles of real estate is 30 hours long and can be taken online or in a classroom. At the end of the course, you will likely need to pass a test and receive a certificate of completion. The Principles of Real Estate course focuses on the essential information every real estate agent needs to know. This includes topics like basic math, legal concerns, and understanding real estate-related documents. All of this information will help you understand the industry from the inside out. Within one year of taking and passing the course in real estate principles, you must take and pass two sections of the real estate examination. One portion is for the state of Kansas and the other is a national exam. You must make an appointment to sit for the exam through Pearson VUE. You will also pay for the test when you register. This test is closed-book and timed. You need to score a 70 percent in order to pass. You do not have to pass both at the same time, but you must pass them both eventually. You can study in advance for the exam, but the topics covered will also be those detailed in the coursework. Upon passing the exam, your certificates will be valid for the next six months. This means that you need to take the practice course and send your application within six months of passing both parts of the examination. The computerized examination can be taken several times, and you must pass both portions to be eligible for a real estate license. Upon passing your real estate exam, you will be given the necessary information to initiate your KBI and FBI background checks. The Kansas Real Estate Commission will look into your background for specific types of convictions, generally felonies that may demonstrate that you are not a good fit for working as a real estate. This 30-hour practice course covers topics that range from writing real estate contracts to performing financial tasks. Ultimately, this course puts everything learned in the principle course and puts it all into practice. You will learn how to complete tasks, such as listing and valuing homes you are selling. Upon passing the class, you will receive a certificate of completion that is valid for six months. You must submit this with your real estate application before it expires. You must work with a Kansas real estate broker for at least two years after you receive your license. The broker must be willing to certify that you are trustworthy and honest. You will be working under the direction of this broker for a short period of time, and under this person you will be learning the ropes of real estate. This is your first taste of working in the industry. It is important to set up appointments with various real estate brokers so that you can determine who is the best fit. Since you may find yourself spending a lot of time with the broker, you want to work with somebody you trust. Talking to several brokers in your area and assessing the broker’s office can be helpful. Within six months of passing your real estate examination, you can apply for a real estate license. Along with your application, you need to send educational certificates for both your practice and principles courses. You also need to present the state and national reports from Pearson Vue regarding your exam results and the material for your background check. This is also the time to pay your application and licensing fees with checks payable to KREC. Don’t forget to have your application signed by your supervising real estate broker. In Kansas, real estate license renewals occur on a staggered schedule. You must take 12 hours of continuing education in order for your license to be renewed. This helps you stay on top of trends in the real estate industry so that you can best serve your clients from beginning to end. Continuing education courses are available online, and we want to help you learn more. Contact us for more information about Kansas real estate education. Real estate agents work on a schedule that is different from much of the rest of the working world. When others go home after a long day at work, real estate agents often contend with emails and phone calls well into the night. Although one of the benefits of working as a real estate agent is the ability to set a personalized schedule, it may become apparent that clients have their own ideas about office hours. This guide will help you find ways to unplug without losing clients and leads. Real estate agents often need to work more than full-time in order to maximize income. Setting up open houses, responding to emails from leads, and creating a plan of action for sellers can be draining and eat up hours throughout the day. There is no doubt that real estate is a busy career field. At the same time, you cannot discount the benefit of relaxation for your physical and emotional health. Running yourself ragged every day could actually set you back in the long run. As counter-intuitive as it may sound, regular vacations and days off keep you going. They refresh your mind and your body, allowing you to approach work with a new outlook when you return. All too many people find themselves checking emails each day, even on days off and while on vacation. Does this count as unplugging? Certainly not. When you are “off work,” take this seriously by truly letting yourself go off the grid. This will allow you to truly reap the benefits. Does Going Off the Grid Lose Leads? Obviously, disappearing without warning for days on end is likely to result in losing clients quickly. If a lead does not hear back from you in a professionally fast manner, he or she is likely to turn elsewhere. Nobody wants to work with somebody they believe could easily disappear off the face of the planet at the drop of a hat, right? This is how leads will be influenced by your unplugging. There are a few things you can do to avoid losing leads. If you have leads waiting to hear back from you, warn them about your vacation as early as possible. You can easily do this by sliding a quick comment into your email or text message. A simple, “I also just wanted to let you know that I will be traveling next week. I will be back in the office on (date) to answer any questions,” will suffice. One of the best ways to avoid losing leads is to vacation when the market is slow, typically during the cold months. Of course, everybody is tempted to go on vacation in the summer when the weather is typically most desirable, but this is also the time when people want to move. Clients want to get into their new homes before the holidays and the school year, after all. As you can see, there is no need to lose clients and leads if you handle your upcoming vacation ahead of time. Planning ahead is important. No phone ringing? No tablet buzzing? 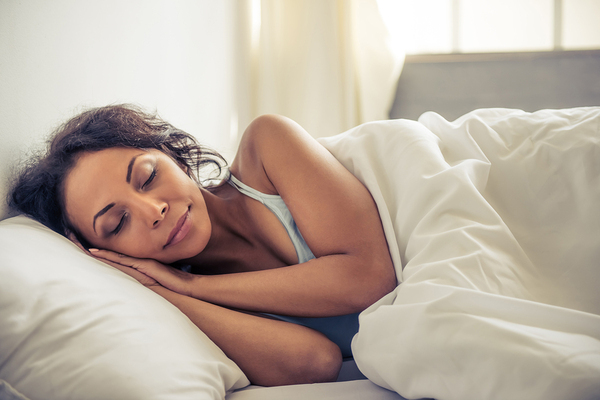 Even a real estate agent can get a full night of sleep on those terms. One thing to remember is that social media can go far, even if you can’t. Facebook and Instagram with schedule posts can prevent potential clients from believing you have gone off the grid completely. Apps like Buffer can help you schedule content while you are away from your phone or computer. This means that people reading your social media will never even realize that you are out of town and not at work. There is also benefit to working with other real estate agents and brokers. Splitting a commission may not seem enticing at first, but when you realize that you will be able to take a vacation every once in a while, you might be intrigued. When you are not the only person bearing the workload, it can seem much simpler to handle everything. Of course, working with a broker or real estate partner is not for everybody. In some cases, a personal assistant is the most helpful solution. You can even find virtual assistants online to help you unplug even for just an hour or so each day. This will allow you to have some time to unwind with the family. If you want to have eyes and ears on your business while you are at home or perhaps even overnight, a personal assistant may be key. Establishing rules and settings for forwarding is helpful too. To start, you can establish your own ground rules about when to respond to people. For example, you might want to set a rule that you only check your emails twice each day. Additionally, you can select quiet hours during which you can tell your phone not to ring. Automatic replies will provide information for potential leads. If you do not want to scare away new leads who might email or call you while you are on vacation or a long weekend, you can utilize automatic replies that will address them immediately. Leads will appreciate the information about when you will get back in touch. Finally, don’t be afraid to set boundaries on a daily basis. You have the right to an unplugged personal life just like each of your clients do. It is acceptable to address clients during reasonable hours during which you do business. Getting away, even in short doses, is essential to your real estate career. When you come back from a session of going off the grid, you will feel motivated and ambitious. You will feel ready to come back to your clients and reach out to leads in potentially unexpected ways. When you feel the need to unplug, don’t forget about those required continuing education courses. They can actually help you learn a lot about working in the real estate industry more efficiently, allowing you to save time where it really matters. Contact us for more information about real estate continuing education courses. If you are a real estate agent in the United States, it likely comes as no surprise to you that the market is diverse. No two neighborhoods sell at exactly the same pace, even within the same city or county. When you look at the concept of real estate on a broad scale, you see similar differences from state-to-state and even country-to-country. Most recently, it has become clear that certain parts of the world are experiencing a real estate surge. Why is this happening? What does this mean for your real estate career in the United States? Where should you be focusing your efforts? This guide will help you figure this out. As of 2016, most of Europe’s real estate markets were on the fast track. In fact, 18 out of 23 were unabashedly booming. Iceland became the country with the strongest real estate market in the entirety of Europe, and it also zoomed nearly to the top in a look at the entire world. While home prices in Iceland had increased nearly 7% in 2015, the increase was over 12.5% in 2016. Why Iceland? Why Europe? Likely factors leading to house pricing surges here are the strong demand and a supply of houses that is not growing quite fast enough to meet it. This is especially true in Iceland’s capital of Reykjavik, a city with a growing desirability. In analyzing the figures on a city-by-city basis, it will become much more clear that supply and demand is a significant reason for these changes. 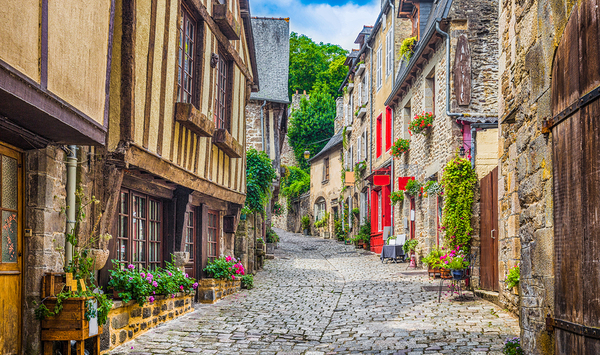 House prices are not just surging in Europe. Asia is also seeing quick changes in home values and pricing. China is leading the pack in this area, with Shanghai seeing swift growth. In 2015, the city saw an increase in pricing of 9.3%, and just last year the prices were increasing by 21.3%. It would appear that there is a much deeper disparity in real estate markets throughout Asia in comparison to markets in Europe. In China, much of the reason for this sudden growth is linked to new measures implemented by the government to help the housing market. In other countries, such measures have not necessarily been implemented. In fact, some countries in Asia are in fear of a housing bubble burst, which will have a significant impact on housing affordability and the real estate market as a whole. As strange as it may seem, housing price changes that happen throughout the world may influence buying practices in our own country. What Do International Pricing Surges Mean for the United State? Now, all of this does not mean that real estate agents in the U.S. need to be afraid of any sort of significant decline. The biggest declines in housing prices occurred in countries like Montenegro, Russia, Qatar, Brazil, and Mongolia. Pricing surges often lead to bubbles, as we have seen in the U.S.A. as well. One thing that real estate agents can do is arm themselves with knowledge about the world’s markets. Understanding the signs of a real estate bubble and the pros and cons of housing price surges means that real estate agents know how to plan ahead. Continuing education courses can help to supply you with this info. Contact us for more information about real estate courses that can help you stay on track. Any real estate agent knows that sellers are often looking to sell quickly and affordably, but bringing up the idea of a pre-listing inspection may explicit some reluctance. The truth is that pre-listing inspections could be the key to securing a quick sale. In fact, the inspection may calm the buyer’s fears all the while ensuring that the seller receives the best price for the home. Why Should the Seller Pay for a Pre-Listing Inspection? There are several reasons why a seller should pay for a pre-listing inspection or why the listing agent should pay for the listing on behalf of the client. For example, the pre-listing inspection can help the seller pinpoint potential repairs they should fix before selling the home. If a buyer performs the inspection, they may find ways to knock a few dollars off the price. If the seller knows the deal ahead of time, he or she can choose which issues to address before listing, obtaining quotes from contractors before a buyer even knows there was an issue to begin with. Ultimately, this leaves a sense of control to the seller. Typically, a home inspection costs less than one percent of the home’s overall value. On the other hand, the results found during the inspection can help to increase the value of the home. This is because there are many things the buyer might find and feel that they will need to pay to fix. If you fix these things ahead of time, you eliminate this factor. Which Inspection Items Should You Fix? Once your seller receives the results of the inspection, what choices should you make? There are some changes that are more worthwhile to fix than others before you list the house on the market. For instance, you should always fix electrical issues that could later become safety issues. In fact, it is smart to fix any safety issues, including broken staircases and handrails. Anything inexpensive and simple will add value to your home too, including things like broken drawer handles. As a real estate agent, learning the inspection process can help you save clients time and money. Which Inspection Items Should You Leave? Of course, there are also plenty of things you can leave for the buyer to fix without losing out on a potential return on investment. These are cosmetic issues that the buyer might want to personalize, like the roofing or flooring. You can also leave issues related to energy efficiency and appliances to the buyer. Ultimately, there are many advantages to completing an inspection before the listing a home, including accurate pricing. In fact, many sellers find themselves able to ask for a higher asking price based on findings. There are no surprises to you or your client. As a real estate agent, providing advice that sellers may be hesitant to take is part of the job. Fortunately, you will be guided by knowledge and expertise when you do this. One of the best ways to stay up to date with current market information and trends is to pursue continuing education. Contact us for more information about courses that will help you reach out to clients effectively. In order to operate as a real estate salesperson in New Jersey, you must first obtain a license. This is par for the course across every state in the country, and the requirements are quite similar. When you have all the steps laid out for you, obtaining your license can be simpler. It is well worth the time for many individuals, as real estate work can be financially, physically, and emotionally rewarding. This guide will help you complete all the steps so that you can obtain your real estate license in New Jersey. The first requirement to obtain a New Jersey real estate salesperson license is to be at least 18 years old. You must also have completed high school or pass an equivalency test. While a college degree is not at all required to work as a real estate agent, it is often beneficial to have. You must also be willing to undergo fingerprinting and a background check. The fee for this service is not refundable if you do not obtain your real estate license. The background check will look for a criminal history, but it is important to know that simply having a criminal history does not mean that you are not going to receive your license. There are some circumstances in which the real estate commission will discuss your eligibility based on the type of offense and how long ago it was. It is also important to know that New Jersey does not offer reciprocity with any other state regarding real estate sales licenses. This means that if you took the real estate course and passed an exam in another state, you are not automatically eligible to apply for a license in New Jersey. All New Jersey real estate agents are required to complete 75 hours of pre-licensing coursework. This coursework may be taken online or in person, and online classes are typically more affordable options than their brick-and-mortar counterparts. You will take quizzes and perform reading online to learn more about the real estate industry. These courses will help you work toward a bright career. All coursework must be taken through a licensed institution. These institutions will be listed on the New Jersey Real Estate Commission’s website. If you do not attend a licensed institution, you will not receive credit for your hard work, and you will have to take the courses again. In these courses, real estate sales agents will learn about practices, principles, and laws as approved by the New Jersey Real Estate Commission. You will learn about housing ethics and discrimination on top of other topics, such as how to price homes. In these courses, you will learn how to list houses and best practices for selling to different types of buyers. Your next step is to take and pass the New Jersey real estate examination within one year of completing your coursework. You can reserve your spot on the web via Pearson VUE. Through this website, you will also be able to pay for your New Jersey real estate exam. When you arrive at the testing center, ensure that you bring your certificate of course completion. You also need to bring two forms of identification, one of which should have your photo on it. Both pieces of identification need to be current (not expired) and have your name. If you arrive with inadequate identification, you will not be able to take the exam. You will receive your examination score report immediately after you complete the test. If you pass, you will be able to move forward in the process of obtaining your real estate license. If you do not pass, you will be eligible to retake the test. 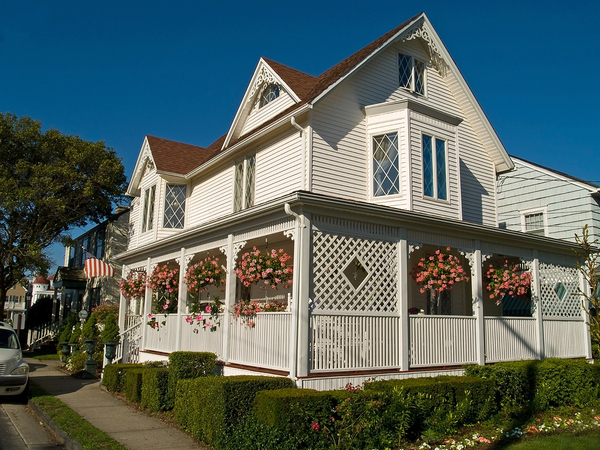 Selling adorable New Jersey homes is just one reward for completing all the steps in the licensing process. A sponsoring broker is required to sign your real estate licensing application before you send it in. You can think of the sponsoring broker as a type of mentor. This person will provide you with the opportunity to work under their supervision for the time being as you learn the ropes of real estate. Because you will be working with the sponsoring broker on a regular basis, it is important that you choose this person wisely. It is acceptable to call and talk about the opportunity with several brokers in your area while you make the decision regarding which broker to work with. You should also visit the office ahead of time to ensure that the working environment is right for you. Next, it is time to submit your real estate application. This application must be completed accurately and thoroughly. If it is not, it may be either sent back to you or declined. Make sure you do not leave anything out or misrepresent yourself in any way. As part of the application process, the New Jersey Real Estate Commission will determine the basis of your character due to the results of the background check. The commission must trust you to be honest and trustworthy, especially as you will be handling financial transactions and other personal information. Your application may be denied if you are on probation or parole. In New Jersey, you must complete 12 credit hours of continuing education during each licensing term. Of these credits, six must include coursework about core topics, including ethics. The other six credit hours are electives. You may use these credits to focus on a niche that interests you or that you think will bolster your real estate career. Continuing education requirements will help you pursue your career and focus on new niches. If you want to learn more about pursuing continuing education and real estate license renewal, contact us for more information. A real estate salesperson license acts as a gateway to the future. With a New Hampshire real estate license, you can pursue a new career. While working as a real estate agent, you can set your own schedule. You work for commission, and you can do your own marketing to attract more clients. When it comes to your career as a real estate salesperson, you are in the driver’s seat. This guide will walk you through the basic steps of becoming a real estate agent in New Hampshire. Step by step, you will learn exactly what you need to do to be eligible for the job. New Hampshire has several basic requirements for obtaining your real estate license. In order to become a real estate agent in New Hampshire, you must be at least 18 years old. You should also have obtained a high school diploma. In order to obtain a real estate sales license, you must be deemed trustworthy by New Hampshire’s real estate commission. For example, you must disclose your criminal history, including both felonies and misdemeanors. You are not eligible for a real estate license if you have undischarged court documents against you. You will be required to submit a notarized criminal record release form as well as a fee for the background check. On your real estate license application, you may be asked about your criminal background. It is important that you are honest on this application. If you are caught lying, you may be prohibited from obtaining a real estate license even if the crimes involved would not have stopped you originally. Finally, you must be willing to submit three affidavits that include character references. Ideally, these references will come from people who know you well personally and in a professional capacity. You are required to take 40 hours of approved classroom and online study in order to obtain a sales license. The classes are designed to prepare you for work as a real estate agent, but they will also help you pass the upcoming examination. 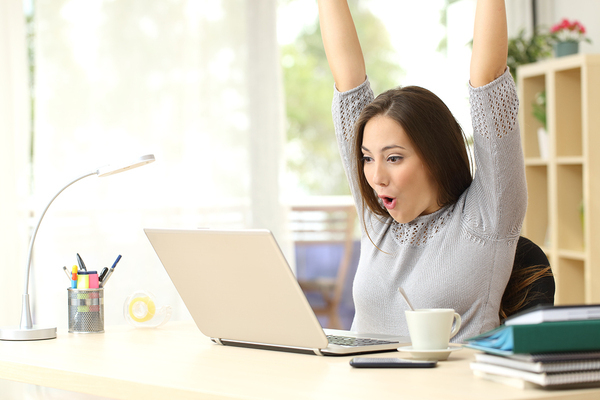 Online coursework gives you the freedom to study from home on your own schedule. The topics covered in real estate pre-licensing courses are broad. You will be studying topics like legal principles, agency relationships, purchase contracts, how to handle funds, and conditions for termination. You will delve into rights of ownership, tenancy rules, managing condominiums, and understanding different types of leases. Courses teach the difference between voluntary and involuntary liens, how to abide by the Americans with Disabilities Act, and what to expect while evaluating properties. Your next step is to pass the real estate examinations. The national and state portions of the real estate examination are administered via computer throughout the week in four testing centers. Testing centers are in Concord, Manchester, Nashua, and Portsmouth, and the test is administered through AMP. You can reserve a spot and pay the testing fee through the company’s website. The national portion of the exam contains 100 questions, all of which are multiple choice. This segment encompasses subjects like vocabulary, basic real estate math, and rules for listing properties. These questions will test you on the subjects that apply to real estate throughout the country. The state segment of the real estate exam contains 40 questions. These questions are specific to New Hampshire real estate laws and ethics. In order to pass, you must score at least 70 percent. You must arrive at the testing center on time or else you may be denied entry. You must also bring a government-issued ID card with your full name, signature, and photo. This can be a driver’s license, state identification, passport, or military identification. You may not bring in any notes, cameras, phones, or recorders. 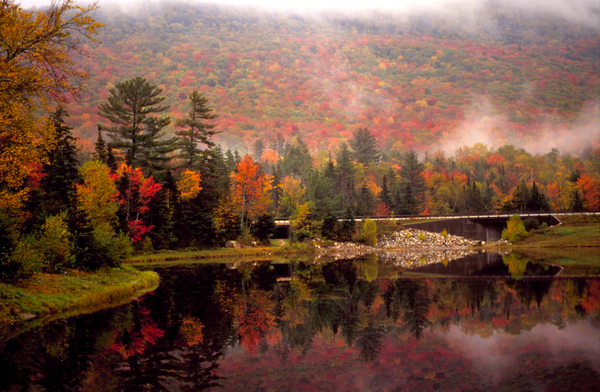 The tranquil nature of New Hampshire has a lot to offer buyers and sellers. You do not need to have extensive computer experience in order to take the test. The testing fees are not refundable, and the test is timed. You have 3.5 hours to take both portions of the examination, which are combined. As you take the test, you will be able to see the time on the screen. If you do not pass either portion of the exam, you will receive your results right away. You will have the option to retake the exam if you do not pass. New Hampshire has reciprocity agreements with several states, including Massachusetts, Maine, Vermont, Tennessee, and Georgia. This means that you only need to take the state portion of the examination to have a real estate license after you already have a license in one of these states. Within six months of passing both portions of the exam, you need to submit your real estate license application. Otherwise, you will have to retake the exams. The real estate salesperson application is available online. The application is straightforward and simple to fill out. Be as honest as possible when you fill out the application to avoid it being declined or delayed. Along with your real estate application, you must also submit the original score reports from your exam. You must also submit proof that you completed the educational requirements. Make sure to send the originals, not copies. In order to renew your real estate license, you must take at least nine hours of continuing education courses each two-year period. This allows you to renew your license, but it also provides the opportunity to learn more about your chosen industry. With continuing education courses, you can easily delve into a niche that fascinates you, for example. In your pursuit of continuing education requirements, you need to find a school offering courses you are interested in. We offer continuing education courses that fulfill the needs of your career and also allow you to focus on topics that matter to you. Contact us for more information about real estate courses.